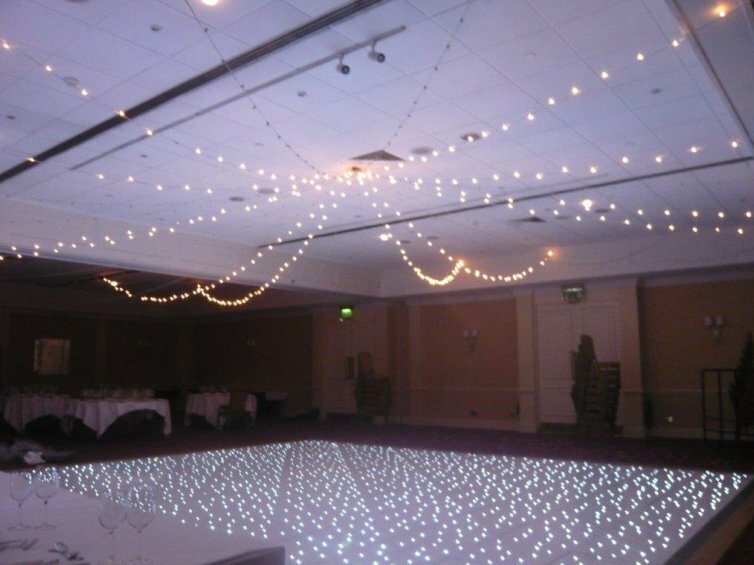 We have been providing the best quality white LED floors since they first became available on the market. Since that date we have moved with the advances in technology from the old cable styled floor to a completely wireless Wi-Fi controlled floor which can be switched on and off by remote control. With our own in-house floor refurbishing service, we can always guarantee that our floors look like new every time they leave the warehouse. 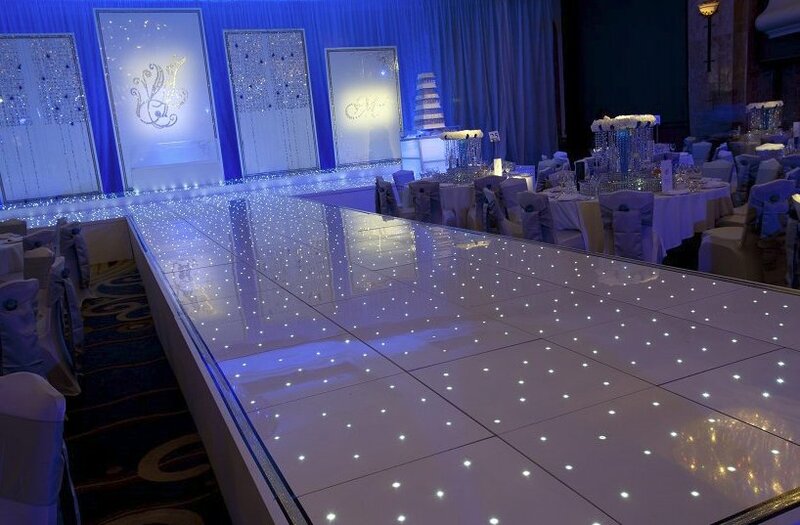 White LED dance floors create a glamorous and beautiful look to compliment any occasion, why not combine this with a dry ice effect and dance amongst the clouds for that big first dance. Corporate Events UK are proud to offer you the best in corporate entertainment, event and function planning. 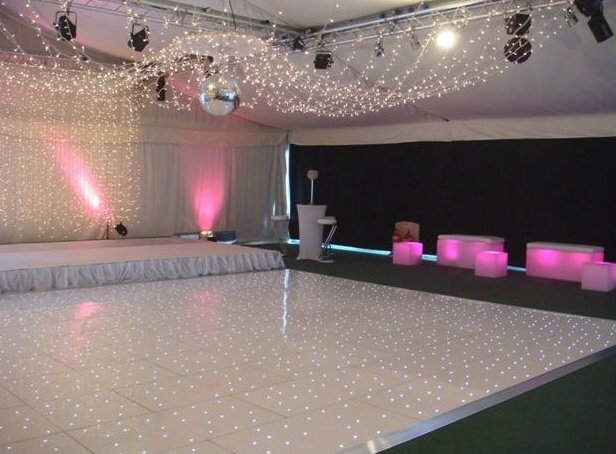 Providing the best in bespoke events for over 30 years. 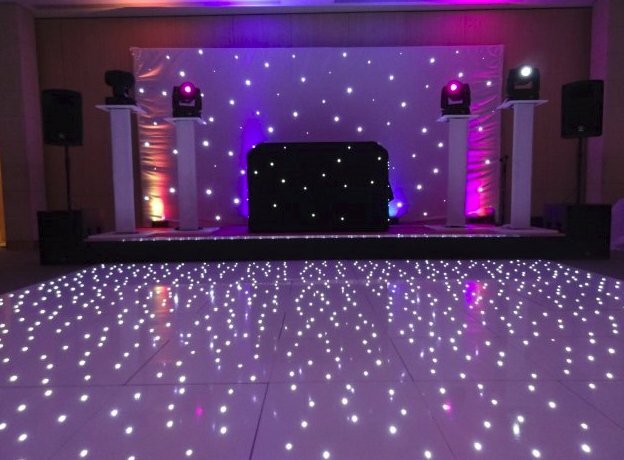 © 2019 Corporate Events UK Ltd All Rights Reserved.